Today, the CW announced the renews of 11 shows. Among those are 4 shows attached to the DC world. ARROW and THE FLASH were renewed, which should surprise nobody with a pulse and a clue, with DC LEGENDS OF TOMORROW and I, ZOMBIE brining brought back to second seasons. Zombie was expected, but there was talk that the price tag of LEGENDS was great enough that the show would not likely reach the numbers needed to return for season two. I never bought into this theory as LEGENDS was part of CW’s VERY successful DC universe that Greg Berlanti and Marc Guggenheim have created. 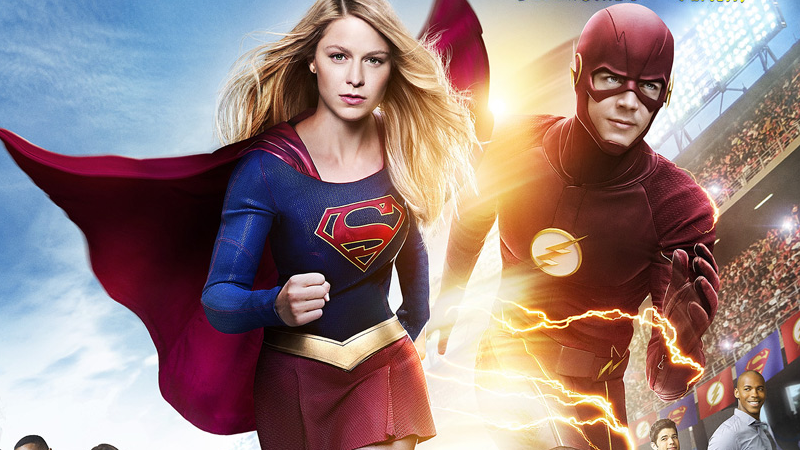 Thier universe goes beyond the CW to CBS with SUPERGIRL, with agreements that make crossover episodes possible. Flash will appear on SUPERGIRL in an episode that suggests these two series occur on alternate universes.